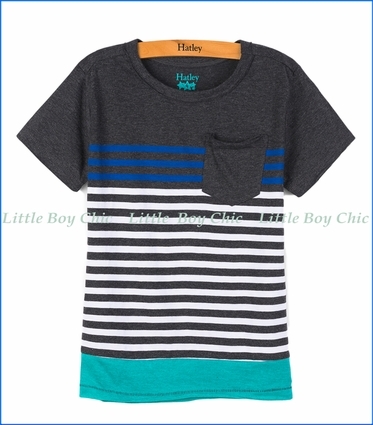 This short sleeve crew neck Tee by Hatley is a favorite, owing to its bold color-blocks and visual contrasts. 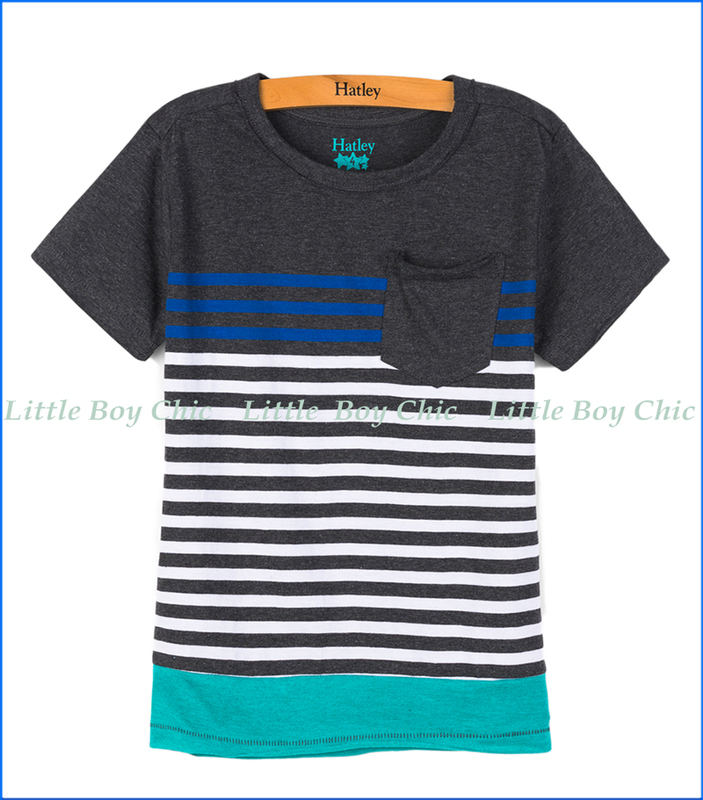 Solid colors on top and bottom with contrast stripes in the middle. Super soft yet durable. Front pocket.